Getting hitched, Elvis Vegas style! 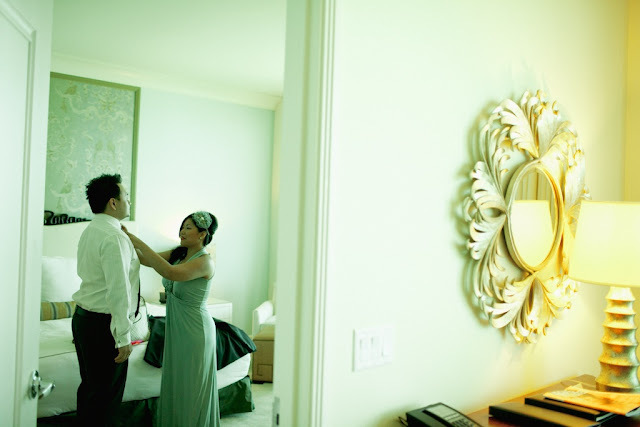 First off all, it was such a pleasant surprise reading that Rebellious Bride Mica made a teaser of our wedding! I hope you guys enjoyed that as much as I did! 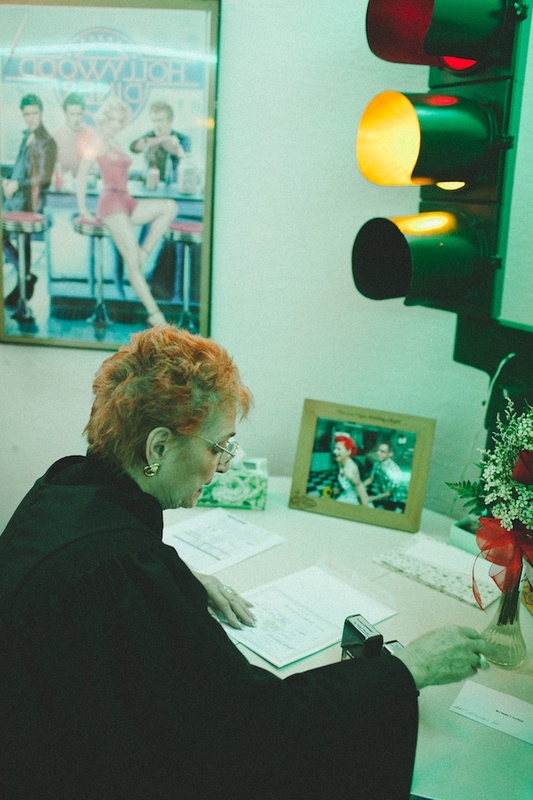 Having finally executed one of our Bucket List items, I just realized how so many other brides (and grooms) have also wanted to experience the Elvis/Vegas wedding but didn't know how to go about it so they just decided not to go through with it. So in my efforts to encourage other couples to fulfill a dream, here's how you can do it too! 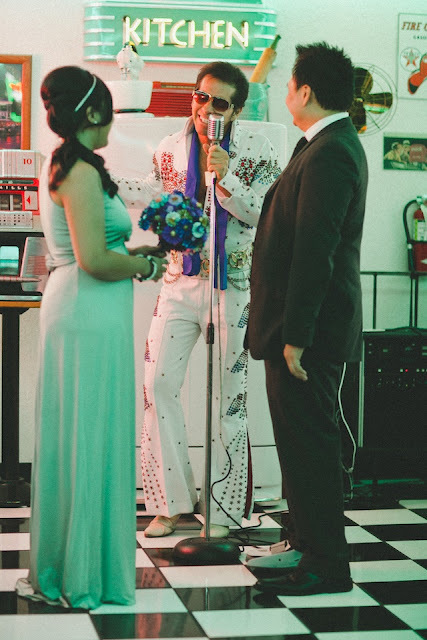 Apart from the fact that the third wedding was really all about my husband—doing it for him so that his best friends can be a part of our lives (quick recap: my husband grew up in the States and he hasn't seen his best friends in 11 years), we also had this Vegas Elvis wedding because it is part of my Bucket List. It is one of those things that you just always see in the movies and on TV that I practically grew up being curious about it. 1. Step 1: Get your plane tickets, accommodations, and travelling documents in order. Since we were flying on a budget, we got Delta because they’ve got the most affordable airfares going to the US. However, note that this flight is quite exhausting because it goes from Manila-Japan-Detroit-Las Vegas with about 22 hours of travelling time in total. If we had the budget, I would definitely have gotten PAL. As for the hotel, we chose the Trump Hotel because it was very elegant, the rooms are to-die-for, and the rates are quite friendly. In fact, our Penthouse for the reception is even cheaper than most high-end hotels and resorts in Boracay! The Penthouse is in the 61st floor, you get VIP treatment, the best view, an expansive space, top of the line amenities, beautiful interiors, and Suburban service. 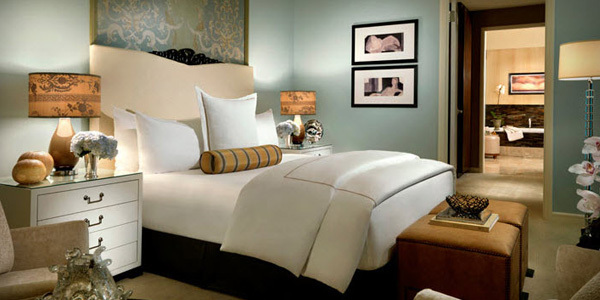 HOWEVER, if it’s your first time in Vegas or you want the casino scene, then you might wanna stay along the Strip area. That wasn’t our priority so we opted for The Trump. 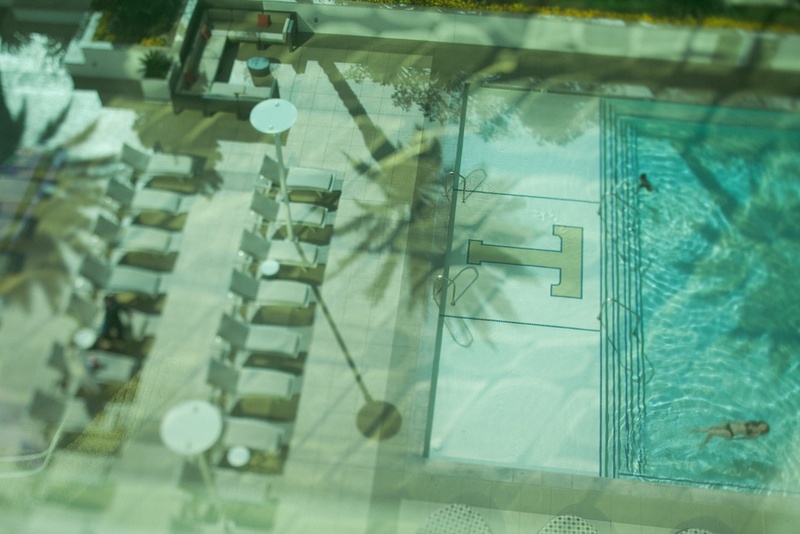 Not to mention that The Trump is even surprisingly more affordable than most popular hotels in the area. 2. Step 2: Reserve for your Vegas Chapel. In the movies, you see like spontaneous weddings that have just been decided on at the last minute. In truth though, if you are travelling Internationally and have guests coming over, it would be more ideal to set your date and reserve for a ceremony package ahead of time. The chapel we had (Viva Las Vegas) has 5,000 weddings a year so if you have preferred dates and times, it would be best to plan on this in advance. 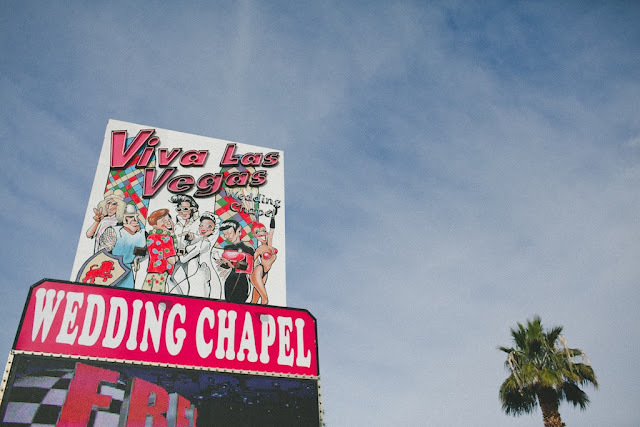 I’ve searched for many, many chapels and the reason why I chose Viva Las Vegas is that they had the perfect affordable package for what I was looking for which was a diner wedding w/ Elvis to officiate the wedding at $299 (P12.850) inclusive of Elvis singing 2 songs, flowers, a coordinator, live streaming of the wedding, and photographer. Please note that most chapels don’t allow for you to bring your own photog/videog and for your guests to take pictures and that’s also one of the reasons why I chose Viva Las Vegas because they were one of the few that still allowed for guests to take photos from their seats. 3. Step 3: Fill-out an Online Pre-Application for your Marriage License. 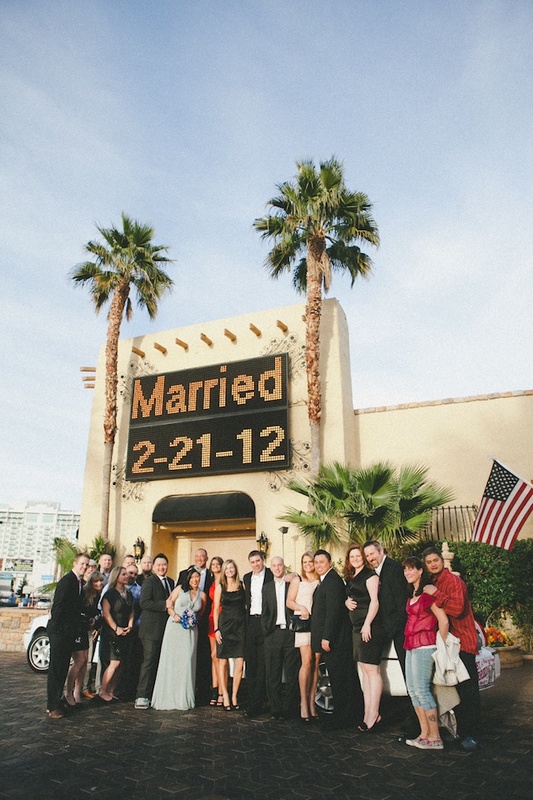 You can get married in Vegas for just the heck of it and just for the experience. However, if you are doing it to make it legal and official, you definitely still need to get a marriage license as in any other types of wedding. 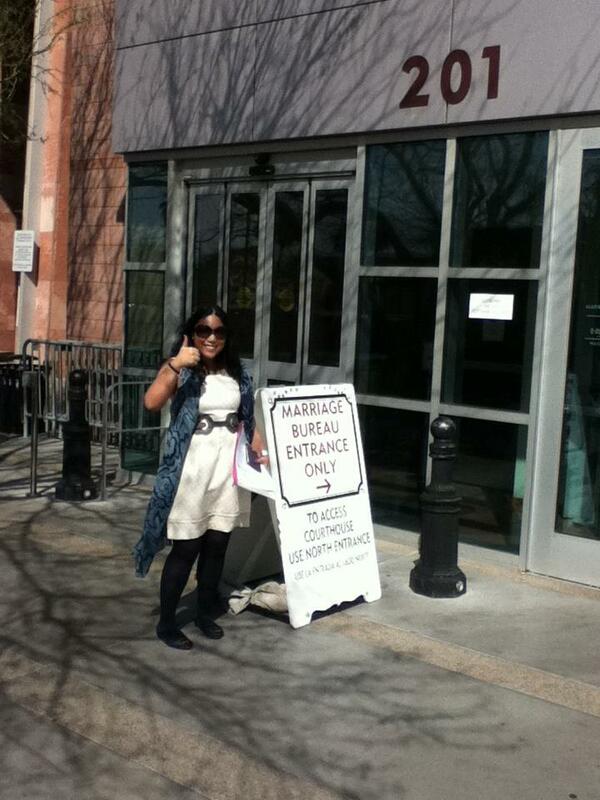 You do this by getting one at the Clark County of Nevada – Marriage License Department. They are open 24 hours a day, the fee is $60 (P2, 850), and all you need to show is your passport. To make it even more efficient, you can do your pre-application online so that you don’t have to line-up anymore! Wouldn’t it be amazing if it were that easy in the Philippines? In our case, we wanted to make our wedding official because Cy is an American citizen and that we know that our marriage there will come in handy should we ever decide to apply for my citizenship as well. A little bit of trivia: They don't show it in the movies but there's actually a judge who will legitimate your wedding right after your 30-minute moment with The King. 5. Step 5: Get Married! P250, 000 ($5,800) inclusive of airfares and accommodations. And considering that this was technically a wedding + honeymoon + first year anniversary celebration, that’s really not so bad! I am seriously considering having a secret Vegas wedding... tipong si Elvis lang ang witness. Hehehe. That would be hassle-free di ba? then just a formal wedding afterwards... kapag ready na ako ma-toxic sa pag-asikaso.